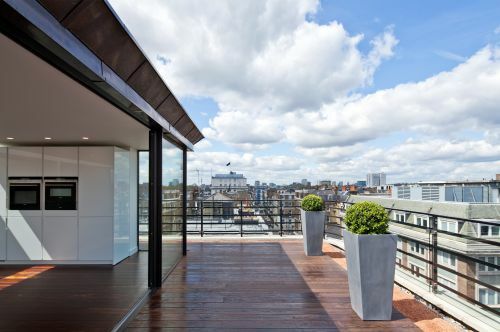 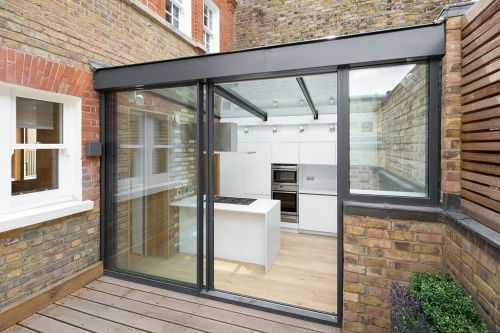 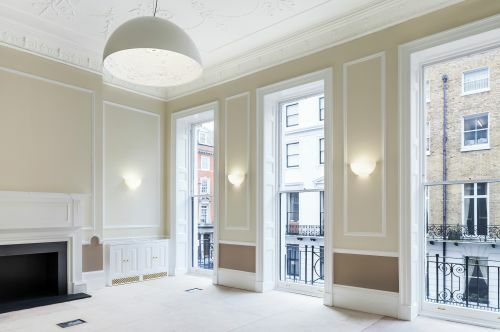 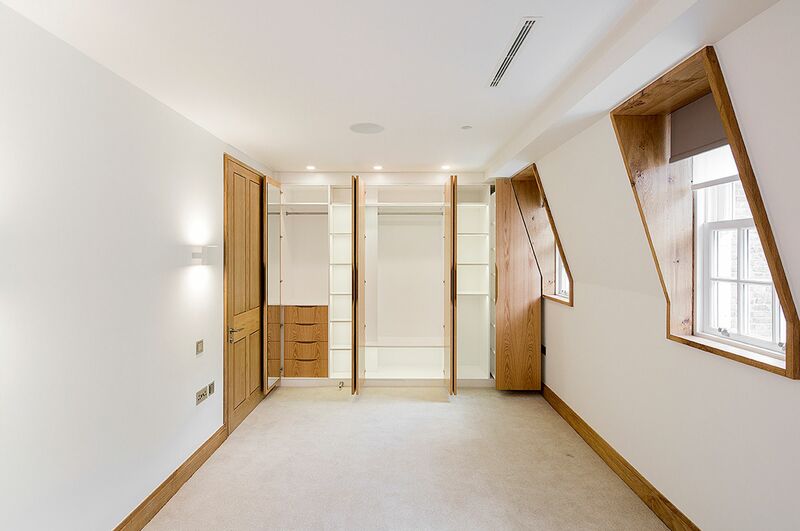 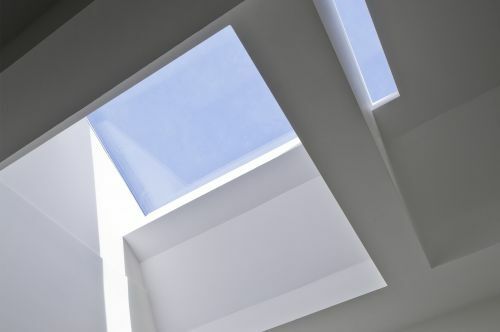 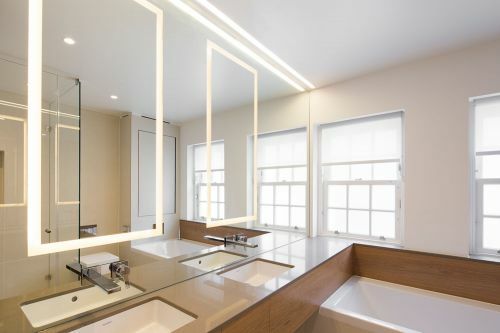 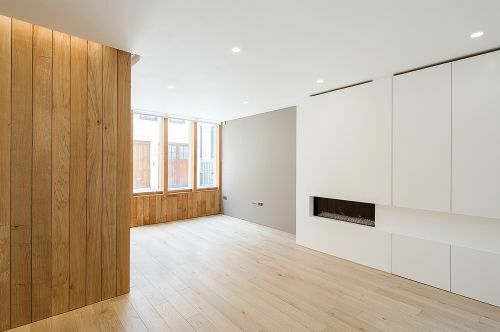 The project included the refurbishment and extension of an end of terrace mews house in the heart of Marylebone which transformed the property into a modern three bedroom family home. 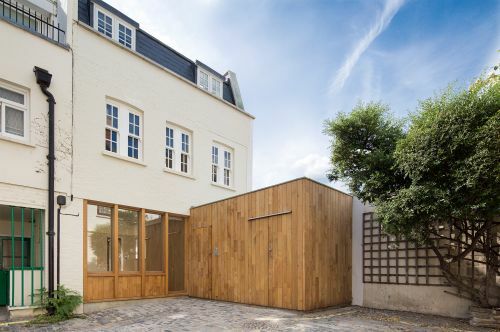 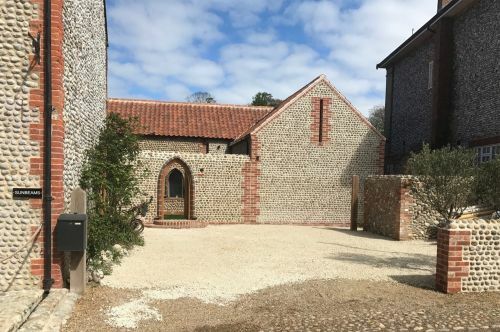 Externally, an existing leaded faceted bay window and tired lean-to garage were replaced with a modern interpretation of traditional coach doors. 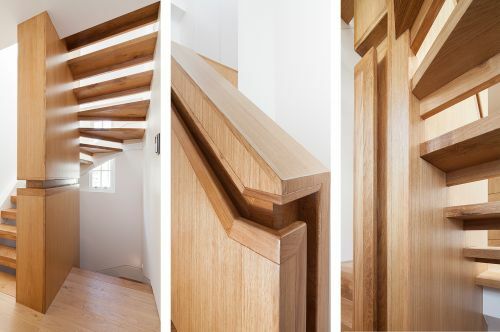 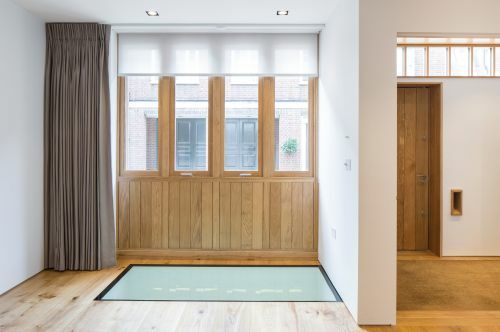 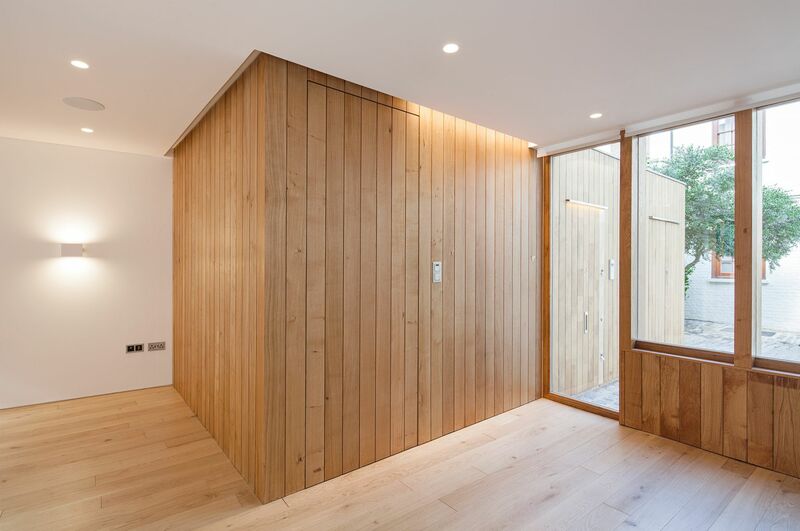 The new entrance extension takes the form of a finely detailed, oak clad box which projects from outside into the ground floor front room where it encloses a new oak staircase to the upper floors. To the rear, the new extension is a lighter glazed box which sits against the existing brick façade. 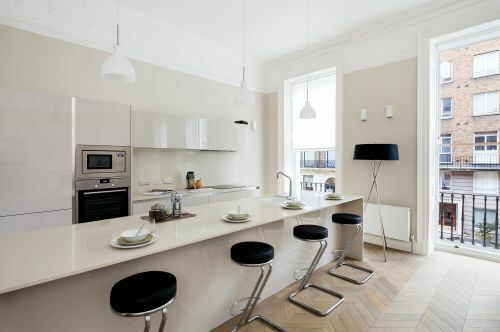 This houses a beautifully detailed kitchen with sliding glass doors giving access to a new terrace with kitchen garden. Environmental sustainability drove the choice of locally sourced materials and efficient lighting and heating technologies. 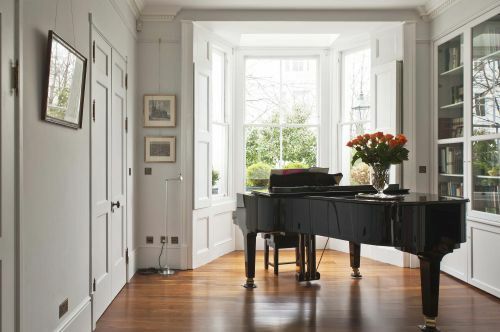 Sonnemann Toon Architects designed the bespoke joinery and selected the luxury finishes throughout.